Our Client Centric Planning Process focuses on providing options at life’s transition points: Problem Resolution for life’s little surprises and/or Future Direction to help you discover what is next. Our planning is real time guidance. Like a GPS, planning sets your course, defines the turning points and monitors your ability to stay on course. Should you lose your way, our financial guidance will help you through the “re-routing process”. Some people choose to go without planning, which makes life’s transition points less identifiable and possibly more painful. Are you trying to solve a specific problem? In some instances, maybe both. So, the first step in determining the type of help you need, is to determine which advice path you are interested in exploring. So, let's, examine them separately. Problem resolution reminds me of a battle. You know what the problem is and now you need to name it, so you can understand it, to determine the potential ways to solve it. We look at this through the lens of “Life is a Battle” because good decisions make wins and bad decisions make losses. The only way to get ahead is to have more wins than losses. Our job is to stack the deck in the win column. We help people explore potential problem resolution strategies to help you determine the options you like with the highest probability of success. There by, reducing the potential risks of both inaction and/or the wrong action. Future Direction is forward looking by nature, self-exploration. However, looking forward cannot be done in a bubble. One must understand their past to properly direct their future. Pursuit of excellence requires introspection as well as projecting forward. Where am I going? Am I on the right path? Am I living true to who I believe I am? These questions will prove difficult without looking backward to go forward. People who choose this financial planning path are looking to pursue their personal excellence. They want help, in discovering what they should pursue, as well as a plan designed to keep them on track of their pursuits. For more information - Call us today or click on the link for the ebook that best fits your planning needs. In the world of hidden fees and revenue sharing, it is difficult to determine exactly what you are paying. All fees will be disclosed. 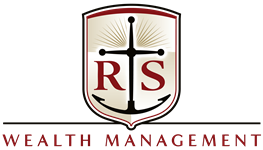 We limit the use of any financial products that have fees on top of our asset management fee.